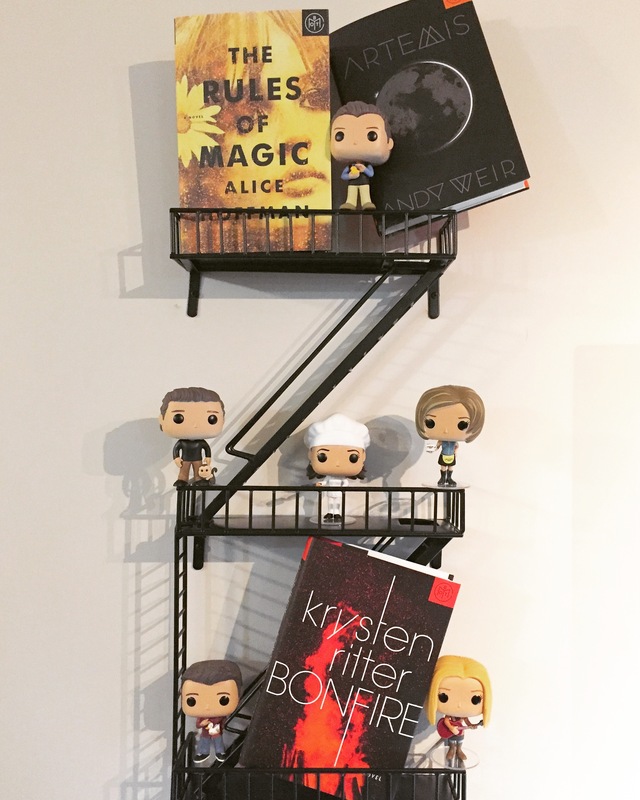 The Rules of Magic by Alice Hoffman – Guest Judge Mae Whitman – The story of Practical Magic! I looooved that movie so was surprised when it was the story behind it! Future Home of the Living God by Louise Erdrich – Guest Judge Tavi Gevinson – a story of time being reversed, and the world turning upside down. Bonfire by Krysten Ritter (AKA Marvel’s Jessica Jones!!!!!) – Judge Liberty Hardy – a story of a girl trying to get away from her roots, only to be taken back to solve a suspenseful case. Uncommon Type by Tom Hanks – Judge Maris Kreizman – a collection of 17 short stories amazingly written by one of my fav actors Tom Hanks. Artemis by Andy Weir – the first and only city on the moon! What an interesting sci-fi book to jump into!